Fundamentally, the question at issue is therefore this: does the identity of the Member States submitting ‘amendments’ in a ‘legislative procedure’ constitute information that may be refused under the exception provided for in Article 4(3) of Regulation No 1049/2001? The answer to this question must, in my view, be in the negative. He then goes on to substantiate this position in the light of transparency’s contribution to the overarching principle of democracy. 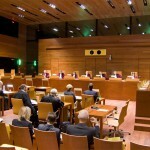 The Council of the European Union defends its appeal in Luxembourg. 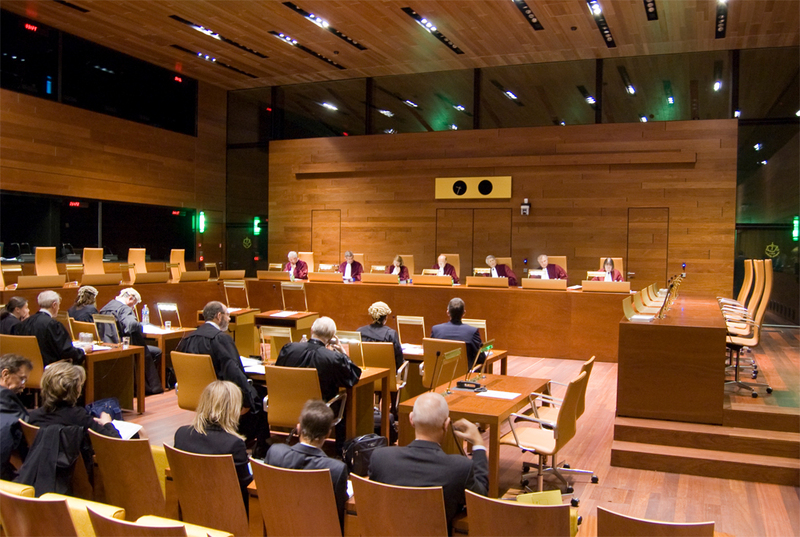 On Thursday 21 February, the litigating parties in the Access Info Europe case appeal convened at the Court of Justice of the European Union in Luxembourg for a hearing. This marks the next step in this case, since the the Council contested the General Court’s ruling by bringing an appeal. The GC’s 2012 judgement in Access Info Europe caused a stir by affirming the NGO’s assertion that citizens need to be able to attribute policy positions to member states in order to participate meaningfully in European democracy. The practice by the Council to disclose arguments put forward without revealing their originating member states had been in place for some years before AIE challenged it. It is seen by the Council as an acceptable compromise between the requirements of democratic participation and those of effective decision-making. Ironically, Access Info Europe was in the process of mapping member state positions in the reform of the access to documents regulation for a report that it was writing, when it stumbled upon this practice. Top Secret Intelligence in Europe: A Tipping Point in Luxembourg? This short article was originally posted on the blog of the Amsterdam Centre for European Law and Governance (ACELG). Kadi is back in Luxembourg and with a vengeance! The timing is interesting both for the case itself and more generally for highlighting the use of secret intelligence and evidence to justify detention and other sanctions. Posted in Case law, Practice, Research | Comments Off on Top Secret Intelligence in Europe: A Tipping Point in Luxembourg?